Do I need an Embezzlement Lawyer? In the majority of states in the U.S., embezzlement is defined as the theft or larceny of assets (property and monies) by an individual in a position of responsibility or trust over said assets. Because of these explicit characteristics (the individual who steals must be in a position of responsibility or trust) embezzlement typically occurs in corporate or employment settings. Embezzlement is a white collar crime; the charge requires the inclusion of a legal professional. If you are charged with embezzlement you must hire an embezzlement lawyer. Regardless of the circumstances or facts surrounding the case, the inclusion of an embezzlement lawyer is necessary because the crime will carry stiff penalties, including imprisonment. In addition to a possible jail sentence, individuals convicted of embezzlement will also be required to pay fines, restitution and forfeit all property or monies that were stolen. If you have been charged with embezzlement, it is essential to not give statements or cooperate with investigators until you have spoken with an embezzlement lawyer. Investigators are out to build a case against you and will use whatever statements to your disadvantage. Because of this investigative characteristic, you must refrain from contact with authorities until you have told your embezzlement lawyer everything regarding your involvement with the charge. Once you have obtained legal advice from an embezzlement lawyer, you may engage in conversation with the authorities if your lawyer deems such communication appropriate. If you are being investigated for embezzlement, it is very important to consult with competent embezzlement lawyers who have experience with the federal court system. An embezzlement lawyer may be able to convince investigators to close the pending investigation or remove you from the investigation. Further down the road, an experienced embezzlement lawyer can negotiate with prosecutors to work out a plea bargain or other deal that limits your punishment and keeps you out of prison. The goal of embezzlement lawyers, and the reason for hiring them, is to impede a felony conviction. Embezzlement lawyers are legal professionals who demonstrate a specific understanding of embezzlement law. Embezzlement lawyers are experienced in defending clients accused of embezzlement. As a result of this experience, embezzlement lawyers have the ability to mitigate or eliminate sentences associated with the crime. Embezzlement lawyers will defend clients through the construction of a sound defense that will revolve around entrapment or the absence of intent to embezzle said property or monies. The hiring of an embezzlement lawyer is required if you are charged with this crime. The inclusion of this specific legal aid will not only help you understand the legal process associated with the charge, but will also assist in the construction of a sound legal defense to help diminish the penalties associated. If you are charged with embezzlement, you need to hire an embezzlement lawyer right away. To expedite your search, utilize the Internet and the referrals of friends or family. Dissimilar to civil suits, finding an embezzlement lawyer requires quick-thinking and an evaluation process that solely focuses on fees and experience—you don’t really need to develop a close rapport with the individual because of the time constraints associated. To find embezzlement lawyers in your area you should first perform Internet searches. After compiling a list of all embezzlement lawyers in your area you should conduct brief research on them by visiting their respective law firms. After observing their biographical information you should cross-reference the individual with your state’s bar association website. This database will reveal all embezzlement lawyers in the state, their licensing status and a brief history of any disciplinary actions taken against the professional if applicable. After you have compiled a list of embezzlement lawyers in your area, you should immediately contact them and explain the basics of your case and the charges against you. Because an embezzlement lawyer will charge a fee for a consultation, the opportunity to hold a preliminary meeting is most likely not worth it. Although consultations are not realistic, you must develop a rapport or feel comfortable with the embezzlement lawyers you contact. In addition to gauging their personalities you must hire an embezzlement lawyer that is experienced and fits into your price range. An embezzlement lawyer will charge an hourly or flat fee. Because of the severity of the crime associated, embezzlement lawyers are often expensive. Common variables that are elastic to an embezzlement lawyer’s fees are the individual’s experience, their reputation and the amount of work that goes into the case—the more experienced an embezzlement lawyer is, the more expensive the individual will be. If you have the funds to hire an experienced embezzlement lawyer, you must do so. Experienced embezzlement lawyers will offer certain expertise and intangibles that will prove beneficial in the long-run. •	What is the expected outcome of this case? •	What is the maximum sentence associated with my charge? •	How complicated is my case? 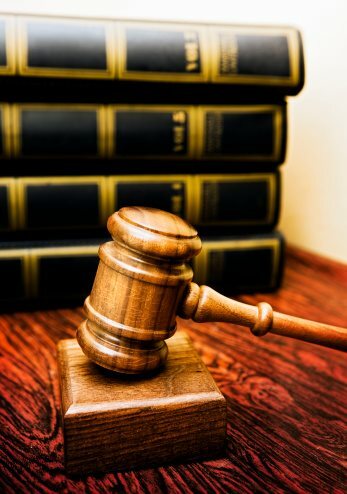 •	What is the federal sentencing guidelines associated with my case? •	Do you have experience defending clients who are in a similar situation? •	Is there a conflict of interest involved in this undertaking?